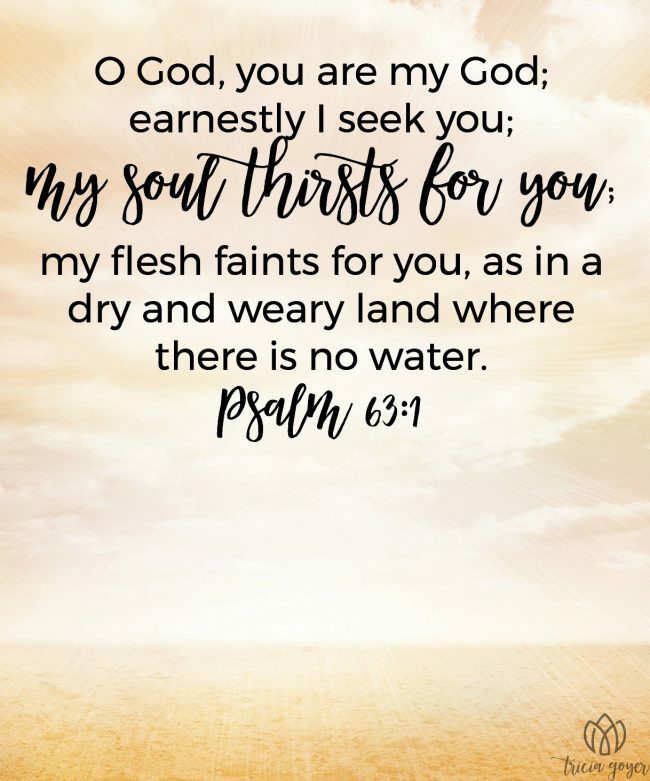 My soul thirsts for you. My flesh faints for you. Only you can satisfy. Yet how quick I am to look to my family, friends, possessions, or status to fill the longings of my heart. Lord, forgive me for those moments when I turn to anything but you. Help me feed that hunger with things that honor you: through prayer, meditation on your word, and time with you. Thank you for sustaining me and taking care of my needs. I love you and desire to know you more.